"Who's Who in Medicine and Healthcare, Millennium"
"Who's Who in the World, 19th Edition, 2002"
"2000 Outstanding Intellectuals of the 21st Century, 2nd Edition"
"One Thousand Great Scientists, 1st Edition"
Profile: Takao MITSUOKA, M.D., Director of the Mitsuoka Clinic, Cardiac electrophysiologist. 1999-present Director of The Mitsuoka Clinic. Took an interest in anti-aging medicine since 2005 and became board certified member of the Japanese Society of Anti-Aging Medicine. The Clinic is the firstcertified anti-aging medical facility in Hokkaido to implement anti-aging medicine. 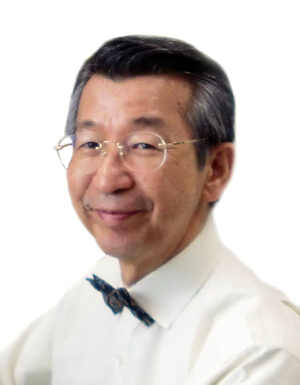 He has contributed articles to several professional journals including the American Journal of Physiology, the British Heart Journal, and the Japanese Heart Journal. He has received several awards for his work, including a grant for Scientific Research for the Ministry of Education in 1991. He has also won an award for "Medical Contributions to Rural Areas" presented by the Japanese Municipal Hospital Association. He is a Fellow of the American College of Cardiology, the American College of Angiology and the European Society of Cardiology and holds membership of American Heart Association.